You’ve seen the awesome aerial photos and videos that drones can produce and you were probably thinking, “I can do that.” And you can. Flying a drone capable of top-notch aerial photography isn’t overly complicated, but you shouldn’t rush out and buy a DJI Inspire. You’ll want to start with an inexpensive drone, learn to fly, gain some experience and build your filming style. We’ve done some aerial photography and came up with a plan to help you succeed. It is tempting to jump right in and grab a DJI Phantom 4 Pro. It is a spectacular machine and takes spectacular footage. But it is a heck of an investment and one wrong move when learning could set you back several hundred dollars. There are two good places to start depending on your budget. If you don’t mind spending close to $500 to get rolling, the new DJI Spark is an awesome compact powerhouse of a drone. It was designed to be easy to fly and is a good start for almost anyone. You can fly it with gesture controls, your smartphone or gain range of over a mile with the optional remote. Most pro pilots end up with at least one DJI drone, so getting accustomed to DJI’s app and menus while flying one of their least expensive drones is a reasonable strategy. DJI Designed the palm-sized Spark to be ultra portable. If you don’t want to spend that kind of money to get started then we’d recommend starting with a Syma X8. These drones are virtually indestructible. We’ve crashed ours countless times and it still flys like a champ. It has a similar build as the Phantom but is a lot more forgiving. There are two different models we’d recommend. Either pick up the X8SC or the X8C. The X8SC is the newest model. It has altitude hold for stability and quick connection parts so you can take it apart quickly for travel. You can find the X8SC for around $120. The X8C typically costs about half as much. You will lose the altitude hold feature and the quick connects, but it is still an excellent tool to learn with. In fact, if you can fly this drone then when you move up to the big boys it will be a lot easier. The X8SC has altitude hold for stability and quick connection parts so you can take it apart quickly for travel. You can find the X8SC for around $120. The X8C typically costs about half as much. You will lose the altitude hold feature and the quick connects, but it is still an excellent tool to learn with. In fact, if you can fly this drone then when you move up to the big boys it will be a lot easier. The Syma X8S models snap together quickly and easily. Both the Syma X8 models we’ve mentioned claim to have HD cameras, but the truth is you won’t get any prize-winning footage from them. They are inexpensive cameras and the vibrations from the drone don’t help. The good news is that these drones are easy to upgrade. You’ll need an inexpensive mount and you can attach a GoPro or other action camera. Now you have a camera capable of capturing footage that you can be proud of. You can learn more about the upgrade procedure here. Your camera won’t be stabilized by a gimbal, but at least it will give you some decent quality video. The Symas are a lot of fun, but you’ll notice that once you’ve flown them a handful of times you want something faster. The Force1 F100 is a brushless motor drone. That means it is more powerful and efficient than the Syma X8. It is a lot faster, has a longer range, longer flight time and can even carry a stabilizing gimbal. We added a Walkera G-2D gimbal to ours to help stabilize the action camera and it can carry it without any problems. Once you’ve had your taste of aerial photography you’ll want something that can take great footage and has some advanced features. The Phantom 3 Standard is just the beginning. It can capture buttery smooth video footage at 2.7K and will give you some fun features like orbit, follow me and return home. The GPS on the Phantom 3 keeps it super stable and you’ll wonder how you managed to fly without it. The Phantom 3 Standard doesn’t have the range, or the top-notch camera or some of the advanced features of the Phantom 4 Pro or Mavic Pro, but at $499 it is about half the cost. Once you get comfortable flying the Phantom 3 Standard you’ll want more. If you already have a DJI Spark then you can probably skip the Phantom 3 Standard. The Phantom does have a slightly better camera and a 3-axis gimbal, while the Spark only has a 2-axis gimbal. The DJI Phantom 3 Standard is a solid option. If you are looking to invest in something that can take professional quality footage then you have to take a look at the Phantom 4 Pro. The camera on the Phantom 4 Pro is one of the most advanced drone cameras on the market today. The Phantom 4 Pro also adds obstacle avoidance, increased flight time and a better range than the Phantom 3 Standard. Think your business needs an even more capable drone? Well, it needs the Phantom 4 Pro as well; every serious videographer has one. If you are looking for something that can take excellent footage and is portable then you’ll want to take a hard look at the Mavic Pro. It boasts obstacle avoidance, longer flight time and advanced features that the Phantom 3 Standard can’t match. The Mavic also folds up to about the size of a soda can for easy transportation. Almost any aerial footage you see on TV or in movies these days is done from a drone. 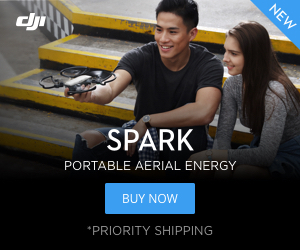 Chances are that the drone used to captured that video was the DJI Inspire. The Inspire series was designed with the professional in mind. You will get professional quality aerial photography equipment that doesn’t have an incredible learning curve.The transformative design of the Inspire drones pulls the propellers and landing gear out of the way to ensure that you won’t have the propellers ruining any of your shots. The newer DJI Inspire 2 blows the Phantom 4 out of the water with its impressive camera lineup, added features and longer flight time. The Inspire drones aren’t cheap, but they weren’t built for everyone. They were built for those who want to create Hollywood-quality videos. Take a look at the Inspire 2 in gray and the Inspire 1 in white. Now that you’ve mastered your drone and are taking spectacular aerial footage, why not make a few extra dollars? There are plenty of people looking for skilled drone pilots to capture aerial footage. You’ll need to take and pass the part 107 exam for drone pilots if you plan to make money flying. It can be tricky, but we’ve put together some resources that can be very helpful. There are several online classes available to help you prepare, we recommend the Drone Pilot Ground School from UAV Coach. These drones are awesome, but they aren’t meant for racing. If you want to experience the thrill of drone racing and fast FPV (first person view) flight then you’ll want to check out this article. Pingback: MJX Bugs 2: Get a GPS Drone Without Spending a Fortune. Pingback: Brushless Micro FPV Quads: What's the Big Deal? 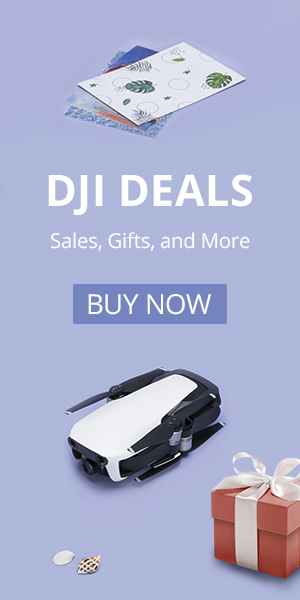 Pingback: DJI Phantom 5: Check Out the Awesome New Features!